Fishshops : Glenmar Shellfish Ltd.
Glenmar Shellfish is the leading shellfish and premium seafood exporter in Ireland . In addition to our export and trading operations, during recent years, Glenmar invested capital and efforts , successfully creating awareness, promoting and developing a domestic market for our product portfolio for our local consumers in Ireland. 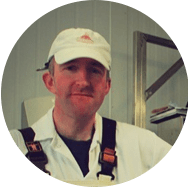 Based in Blanchardstown, our Dublin domestic operation involves a retail Fish shop, and a wholesale distribution that covers the processing , filleting , packing and delivery, supervised to the highest quality standards. Orders can be customized to every clients needs. We cover deliveries in the whole of Leinster province with our own fleet of refrigerated vans , and a wide range of the freshest and finest seafood products delivered daily. We service the finest Hotels , Restaurants, Gastropubs , and food service groups. 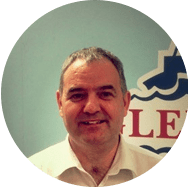 Our Sales Manager Steven Coleman has over 20 years experience in food sales, and he delivers the highest quality standards an excellent customer care. Unit 29 Millenium Business Park, Blanchardstown, Dublin 11, Ireland. Based in Union Hall our retail shop has a wide variety of native local species , freshly landed in our local pear. Our experienced fishmongers Stephen Hurley and Peter Deasy take pride on stocking locally caught fish and shellfish in store and on any given day, have upwards of 25 different species. Our position is unique in terms of location and relationship with the local boats and skippers , and we can tell exactly where their fish was caught and by who. We also service some local Hotels and Restaurants locally. Main Street, Union Hall, Co. Cork, Ireland.